Food is at its best when it is coming straight out of the kitchen and onto a magical table set just for you and your favorite people. Let DiningwithBee help you create that backroom-of-your-favorite-restaurant feeling in your own home…or let us host your party at ours. Pull up a seat at our table for perspectives, politics, culture and of course, food during our seasonal podcast series. We bring the kitchen to festivals & markets for real food fans. Go live with us at our next event. 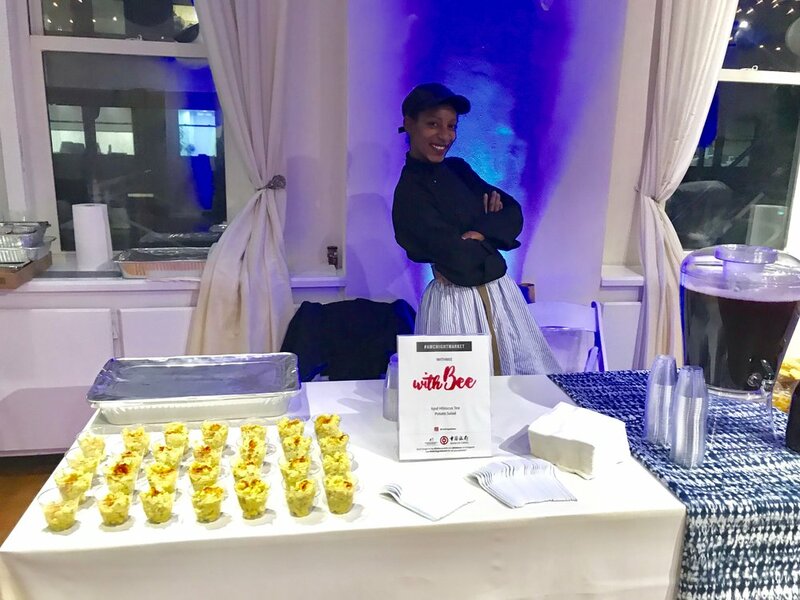 We love sharing the joy of food with our Nonprofit, charitable & community organizations like Big Brothers Big Sisters of NYC and Project Renewal.